Dr. David Talton has contributed to 3 publications. Aspirated safety pin requiring thoracotomy: report of a case and review. 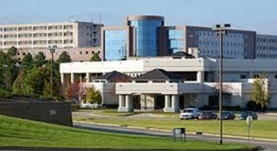 Causey, A. L., Talton, D. S., Miller, R. C., Warren, E. T.; Pediatr Emerg Care. 1997 Dec.
Adenocarcinoma of a Brooke ileostomy for adenomatous polyposis coli. Johnson, J. A., Talton, D. S., Poole, G. V.; Am J Gastroenterol. 1993 Jul.